It was a symbolic opening of a flyover but the leaders of the Coalition Government, marking its third anniversary yesterday, reaffirmed their resoluteness to take the road less travelled for the betterment of the nation. Providing a long-term solution for the heavy traffic congestion in the Welikada junction area, President Maithripala Sirisena and Prime Minister Ranil Wickremesinghe yesterday declared open the Rajagiriya flyover built at a cost of Rs. 4.7 billion. Addressing a simple opening ceremony, the President recalled that the people of this country elected him as the Head of State to commence a new political culture ending an era where democracy, freedom, social rights, human rights, fundamental rights and media freedom had all deteriorated. 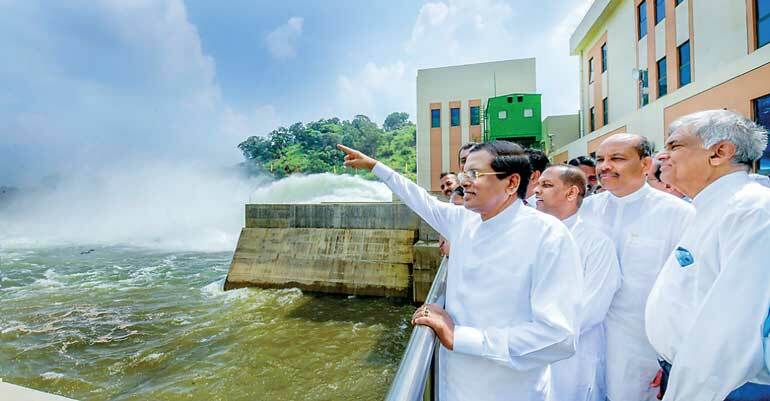 Sirisena said that the Good Governance Government was able to restore the image of Sri Lanka and put it back on the map during the past three years, while overcoming many challenges which hindered the growth of the economy. “We cleared all the obstacles the country had with the international community and economic threats to take the economy forward. We built this Coalition Government under these difficult circumstances, but today we have won the hearts of the international community, all world leaders and all countries through friendship. Today, we have the support of the world and even this flyover is built with the help and assistance of the Spanish Government,” he emphasised. Noting that the Government has laid an excellent foundation through its good relationship with the international community, President Sirisena called on all stakeholders to work together in a harmonious and responsible manner to create a prosperous country. Prime Minister Ranil Wickremesinghe highlighted the importance of having solid infrastructure to build an export-led economy which would help create job opportunities for youth with higher income and uplift the livelihoods of the people of this country. “Under the Good Governance Government, we want to develop the industrial sector, tourism, service sector, construction, modify the agriculture and fisheries sectors, but to do all that we need to have proper infrastructure in place to support those. During the past three years we have built roads, provided electricity and water to most parts of the country according to a planned system. I declare the opening of the Rajagiriya flyover a significant milestone of developing infrastructure in the country,” he added. 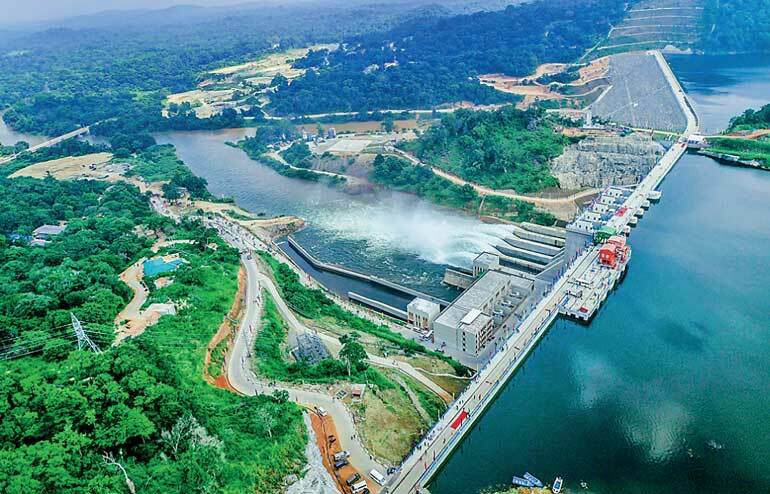 He said the Government had commenced a massive development program from Kandy to Hambantota, which also included several industrial and tourism zones. Acknowledging that a better standard of living was a promise the Coalition Government made when it was elected to power in 2015, Premier Wickremesinghe assured that the Government would deliver and no one should have doubts about this. 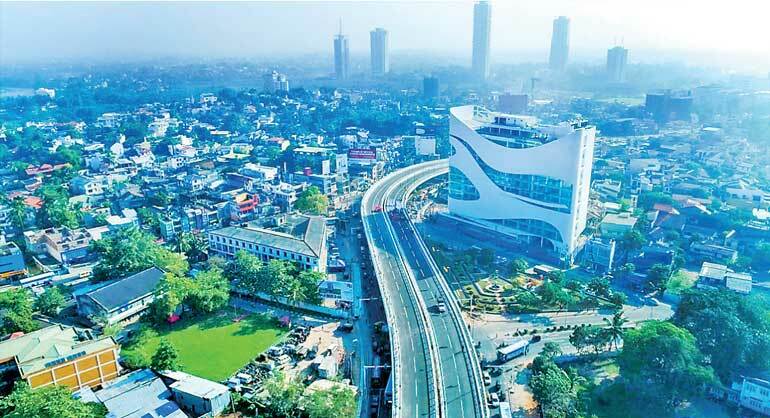 “The previous Government did not allocate any funds for the Rajagiriya flyover. We reconsidered this project after we came into office in 2015 as there was a huge need to tackle the increased traffic in that route,” Wickremesinghe added. Earlier on during his speech, President Sirisena also said the completion of the project would assist many people to carry out their day-to-day work, while contributing efficiently to the economic development of many sectors. “We all know the status of this road — the traffic congestion, the pollution the traffic caused, the economic drawbacks both the private and the public sector had to face without being able to work on time. We hope the opening of this flyover will help to reduce the traffic and add value to achieve better economic results in all sectors,” he added. President Sirisena suggested that the newly-opened Rajagiriya flyover should be named after the late Most Ven. Maduluwawe Sobitha Thero as he was a pioneer of the 8 January revolution three years ago. “There were a few requests by the public to name the flyover after the late Most Ven. Maduluwawe Sobitha Thero. I have given instructions to ministers Champika Ranawaka and Lakshman Kiriella to discuss and take a decision on it,” he said. The 533-metre-long and 21.4-metre-wide flyover comprises a total of four lanes, with two lanes going each way and was funded by a soft loan worth Rs. 4.3 billion from the Spanish Government. The President commended the support of the Spanish Government, Highways Ministry, Road Development Authority (RDA), Access Engineering Group and all other stakeholders that expeditiously completed the flyover for the benefit of the people. Highways and Higher Education Minister Lakshman Kiriella expressed his appreciation of the Spanish Government and added that they had agreed to build more flyovers in Kandy. Outlining the background of the project, National Policies and Economic Affairs Deputy Minister Dr. Harsha de Silva said the Good Governance Government signed the agreement in 2015 December and allocated Rs. 4.7 billion, where the Government obtained funding from the Spanish Government as a loan at a rate of 0.15% for 40 years, while on 5 June 2016 they commenced construction of the flyover. He asserted that they were able to reduce 15% of the total cost of the project after several discussions with all related parties and it was able to complete the construction 11 months ahead of schedule for the convenience of the public. “Previously, we expected to open the flyover with two lanes in December 2017 and to open the rest in 2018. However, we were able to finish work on the entire project 11 months ahead. We hope the opening of the flyover will increase the traffic speed considerably,” he added. In addition, Dr. de Silva said the Government had also embarked on a Light Rail Transit (LRT) facility in the future to reduce traffic congestion along the route, where one of the six LTRs will connect Madiwela to North Colombo.